In a ‘Festival only’ exclusive screening, the award-winning novel The Sisters Brothers gets a cinematic rendering courtesy of filmmaker Jacques Audiard (Dheepan, AF FFF2016). With this melancholic western noir, Audiard also makes a mighty debut in English and showcases a stellar Hollywood line-up. Set in gold rush California of the 1850s, Eli and Charlie Sisters (John C. Reilly and Joaquin Phoenix) are notorious, cold-blooded assassins hired by an Oregon City crime boss, The Commodore (Rutger Hauer), to settle a score. Their contract is to kill a mysterious chemist, Herman Kermit Warm (Riz Ahmed), who’s allegedly perfected a formula that, when poured into a river, makes gold light up. As the brothers travel south to San Francisco leaving a trail of violence and murder in their wake, things take a dramatic turn when another gun-for-hire on the target’s tail, John Morris (Jake Gyllenhaal), decides to team up with Warm. Featuring eye-catching cinematography and outstanding performances by a killer cast blessed with a script replete with salty dialogue, Audiard eschews sentimentality to create a western that is as gritty and entertaining as Quentin Tarantino and Sam Peckinpah at their best. "Audiard has made an atmospheric Western in which the four lead actors portray their characters with remarkable subtlety." 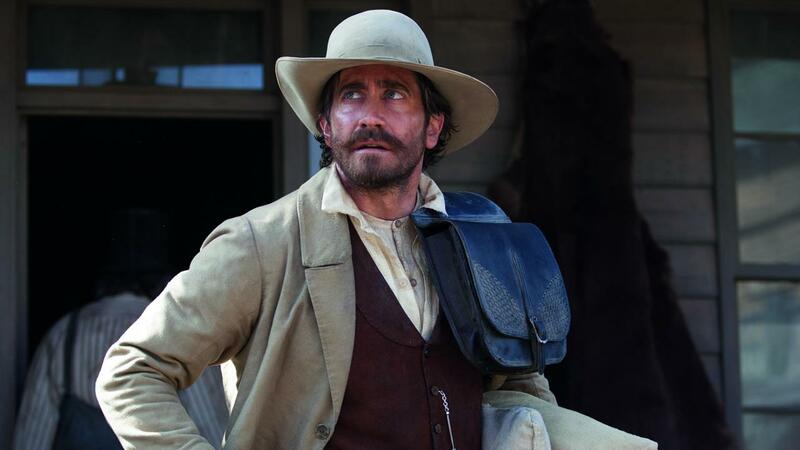 "It's a sprawling Western that's also an intimate character piece; it has moments of wit but also devastating tragedy; it delves into larger themes, and yet it offers the hope of redemption."